Our latest course is now open for enrollment. And best of all it’s free! You can get started here or read more about it below. Dave and I enjoyed putting this together even though it took about 5 times longer than we expected! 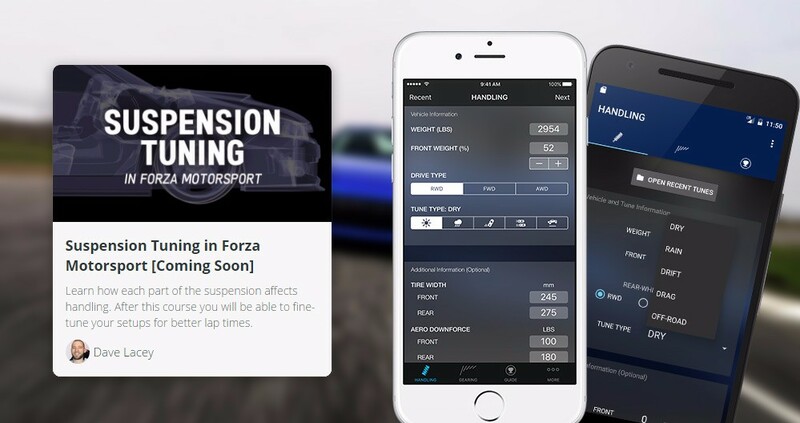 That’s probably because the course is packed full of animations and explanations — we wanted it to be the “go-to” tuning guide for Forza players. 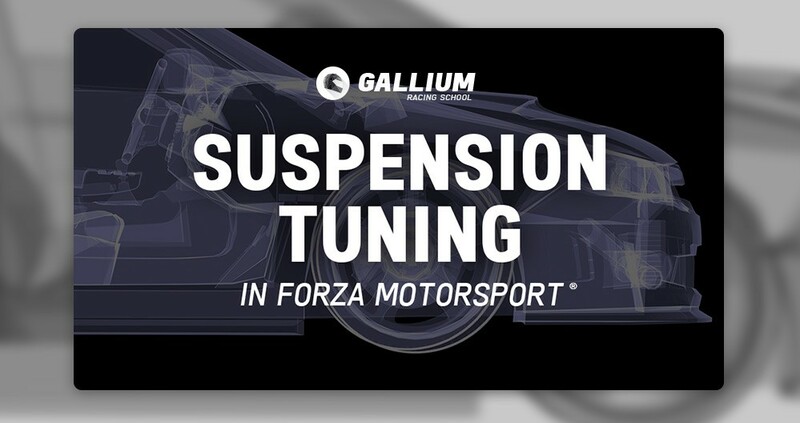 The course has style similar to others here at Gallium Racing School – detailed information explained in clear terms. Each video is five minutes or less so you can keep a good pace through the lectures. You also get a tuning checklist (PDF) for you to download and use as you build your setups. All the videos are available instantly after you log in. We had a lot of students go through the class over the weekend and the feedback so far has been great. Enroll now to get a head start on everyone else! That was a comment from one of our new racing school students. That’s the kind of feedback that brings a smile to my face. And so far I can’t believe the positive response from those who had early access to our first course, The Keys to Speed™. I’d like to thank the many students that pre-ordered our first course and made this all possible. We welcome future students and look forward to posting useful advice and news here on the GRS blog.